Using rhinestone nail art on your nails for a manicure is awesome. It creates so many different glamourous looks. You will be best conversation piece at lunch. You will be the super-glamorous to girly to a little bit tough, depending on the size, color, and shape of the stones. I know this may seem intimidating, but it’s easier than it looks! Make sure for durability to apply two coats of nail polish and let them dry completely. Apply a Sparkly twinkly rhinestones to any thick layer of top coat. The nex step is to attach the embellishments to your nails. Always add another layer of top coat over the rhinestones and all. Con: It’s the least permanent option; you may lose stones as early as the next day. Wear gloves when doing yard work or doing the dishes. Rhinestones, chains, studs, charms– you name it! 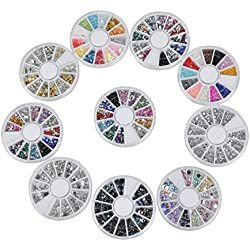 Here is the best way to attach those embellishments to your nails. 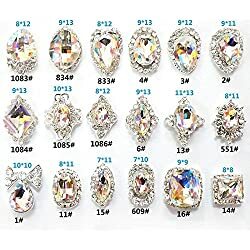 When using Glue or Resin to your rhinestone, stud, diamond or another accessory on top of the glue dot that is on top of your nail and then gently holds it in place with your orangewood stick. 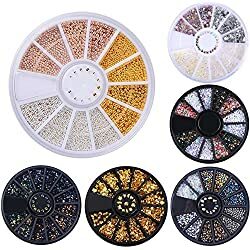 There is tool that is specially maid for manicure rhinestones. 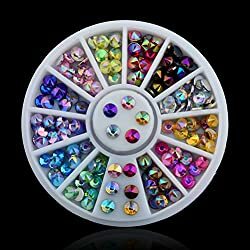 But the nail rhinestone in place with special tools while you wait for the glue to dry – using a dryer could take less time to dry. Try to hold each rhinestone or charm in place for at least 20 to 30 seconds before letting go. 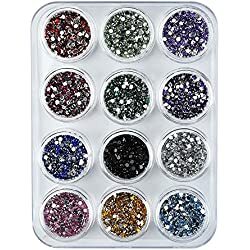 Possitive: This is ultimately the best ways to give you to give your nail some sparkly bling and embellishments long lasting holding power. Negative Side: This method is the most time-consuming method, so it takes a great deal of patience. Many types of glue begin to lose their adhesive power. What you want to do is apply a top coat. 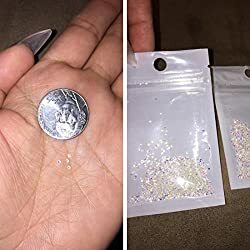 There are two common methods for picking up studs and rhinestones. You can use tools or just a toothpick. Gently place it on your nail, these include using tweezers, or a dotting tool dipped in clear coat nail polish (read my guide to using dotting tools here). 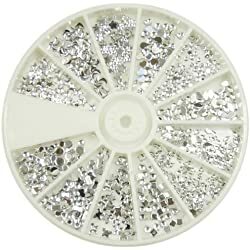 You can also purchase a ‘rhinestone picker’ which is a pencil with a wax-based lead that will pick up the sparkly rhinestone. or stud, but in my experience. I found out the hard way – leave a white residue from the lead on the stud/rhinestone which isn’t ideal. For the final step to adding Rhines Stone to nailFollow with another layer of top coat over the rhinestones and all. 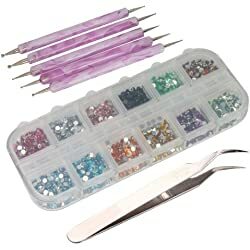 Apply your sparkly rhinestone stud or diamond or another bling accessory on top of the glue dot and gently hold it in place with your special manicure tools or nail stick or another tool. 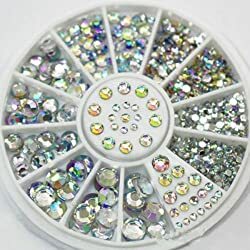 This will help keep the rhinestone stays in place while you wait for the glue to dry. DOnt forget to use a dryer. 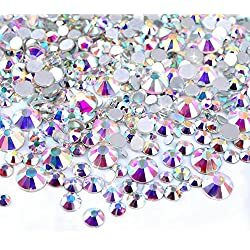 Try to hold each rhinestone in place. Do not press too hard – the rhinestone might move. Hold the sparkly rhinestone in place for at least 25 seconds. You can then pick up the studs and rhinestones and placing them on the nail. Or these include using tweezers, or a dotting tool dipped in clear polish (read my guide to using dotting tools here). You can also purchase a ‘rhinestone picker’ which is a pencil with a wax-based lead that will pick up the rhinestone. The Sparkly or stud, but in my experience, I’ve found that they leave a white residue from the lead on the stud/rhinestone which isn’t ideal.